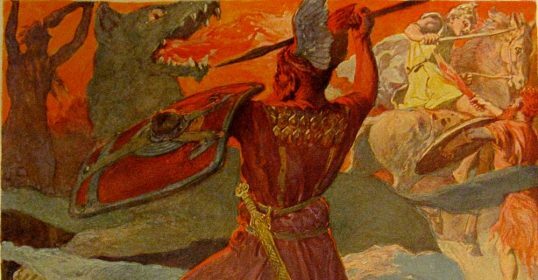 In reading about the lives of history’s great men, one thing I’ve noticed is that many of them had a place they could go to be alone with their thoughts. Some of these men had a study where they would retreat to think, read, and write. Others had a garage or workshop where they would tinker and experiment. But what all these rooms had in common was their sheer manliness. 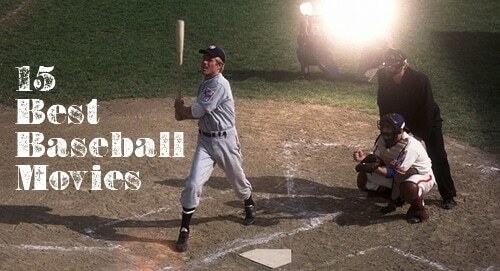 They were man spaces, places a man could call his own. 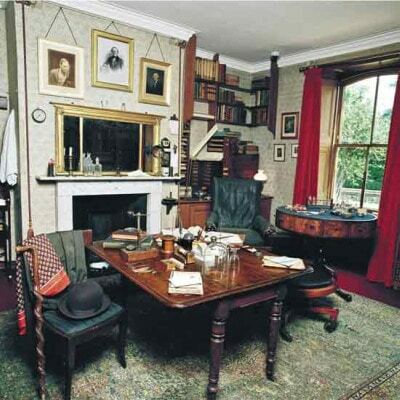 Below we give you a look inside the man rooms of 14 famous men from history. 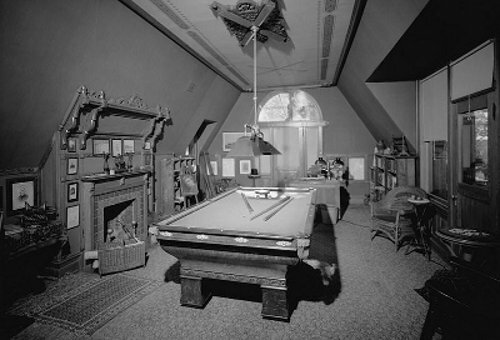 Within these rooms they formulated ideas that would change the world, wrote books that remain classics, and revitalized the dynamic manliness that drove their success. 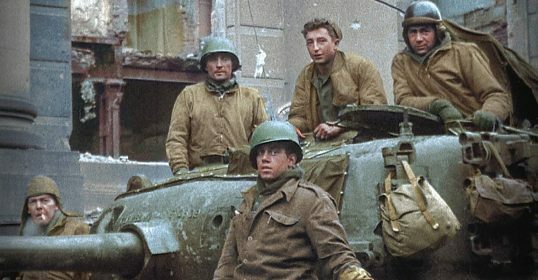 While we all can’t have a Carnegie-esque study, perhaps you’ll find inspiration from these manly spaces to spruce up your own room or simply the push to find a place where you can get away from it all and in tune with your manliness. The room where Papa wrote For Whom the Bell Tolls and Death in the Afternoon. Ernest Hemingway lived in this house in Key West, Florida for more than 10 years. Needing a place where he could drink a glass of scotch, smoke a cigar, and write about men being men, Hemingway turned the old carriage house on the property into his personal writing studio. The main features in the room are the Cuban cigar-maker’s chair and his Royal typewriter. 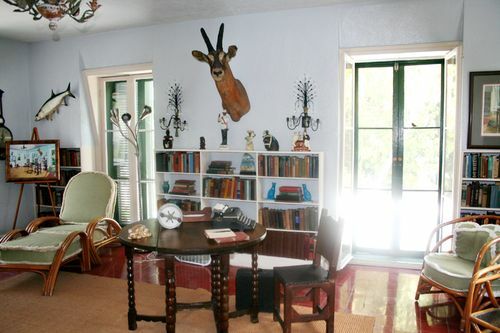 Throughout the room, Hemingway placed mementos he collected from his manly adventures in Africa and Cuba. After Theodore Roosevelt’s Dakota cattle business failed, he came back East to New York and built a home in Oyster Bay, NY. He called his estate Sagamore Hill, and he lived there until he died (with a stint in the White House, of course). It was where Roosevelt would go to relax, romp in the woods, and revitalize his man spirit. 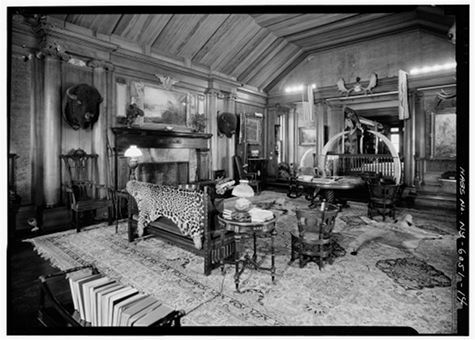 The crowning manly jewel of the house was TR’s trophy room where he kept his collection of wild game he had hunted in Africa and throughout the American West. The room has a high ceiling and is filled with rich, dark Philippine camagon woodwork. A perfect place for the manliest president to read a book about adventure in the grasslands or to entertain guests and dignitaries. Frederick Douglass was a true self-made man. He escaped from slavery and through hard work and self-education, became a writer, publisher, speaker and fierce abolitionist. With the money he made from writing and speaking, Douglass bought a 14 bedroom house in Washington, D.C. that he called Cedar Hill. His office was lined with over 1,000 books on a wide variety of subjects, and his walls were adorned with portraits of people he admired like Susan B. Anthony and Wendell Phillips. 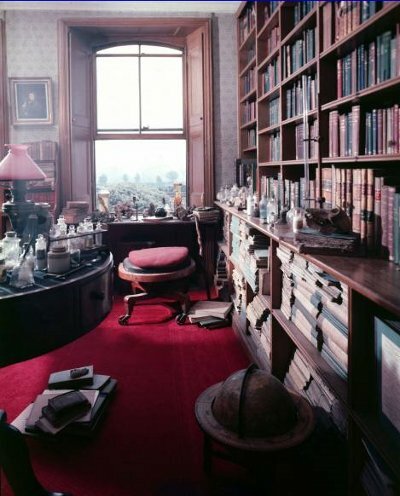 Douglas would spend up to five hours a day reading and writing in his manly study. 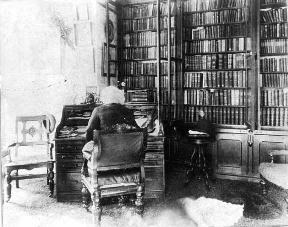 At his sturdy wooden desk he penned many of his inspiring speeches and his famous autobiography, The Life and Times of Frederick Douglass. The author of the Declaration of Independence also was a master architect. Jefferson designed the home that crowned his beautiful Monticello estate. 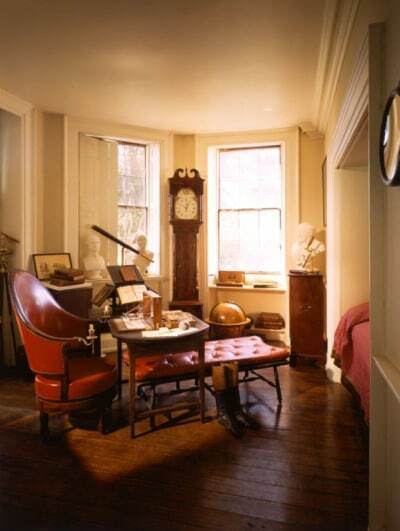 Jefferson’s man space was his study where he’d read about, write about, and ponder liberty and other profound principles in solitude. The busts of great men served as muses for Jefferson. One of the unique aspects of Jefferson’s man space is how it’s connected to his bedroom. He placed his bed in an alcove in the wall between his study and room. That way Jefferson could roll right out of bed and start working or if he needed to take a power nap after hours of manly meditation and study, he could lie down for a respite. 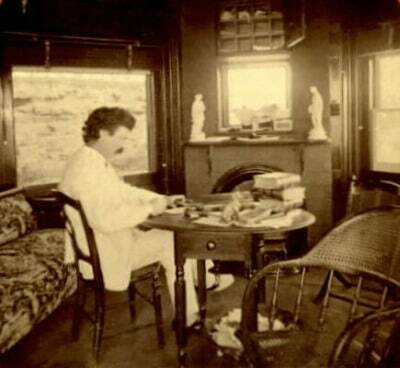 Mark Twain would often summer with his sister who lived in Elmira, New York. 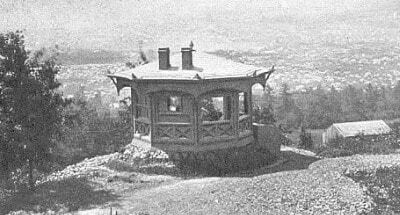 Needing a place where he could get some work done, Twain built himself a writing hut on his sister’s property. Free from distractions and inspired by the setting, Twain could write in peace and quiet. In this sanctuary of manliness, Twain wrote some of his most widely read and manly works: Life on the Mississippi, A Connecticut Yankee in King Arthur’s Court, and Adventures of Huckleberry Finn. Tired of the distractions of modern living, Henry David Thoreau went to the woods to live a deliberate and simple life. He borrowed some land near a pond called Walden from friend Ralph Waldo Emerson and built himself a simple 10’x15′ shack. The inside was furnished with a bed, a table, a desk, and three chairs. That’s it. Total cost to build his man shack? $28.12. 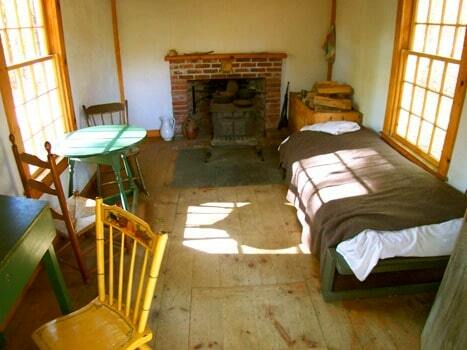 It was in this small hut in the woods that Thoreau would get the inspiration he needed to write his most famous work of Transcendental Philosophy, Walden, Or Life in the Woods. Thoreau’s rustic man-hut has inspired men for generations to tear out into the woods, build a shack with their own bare man hands, and start sucking the marrow out of life. Many people argue that Thomas Edison’s greatest contribution to science and technology was his Invention Factory in Menlo Park, New Jersey. This series of brick buildings was the first industrial research and development laboratory and is the model for today’s corporate and government R&D labs. Nestled in the complex was Edison’s personal library. The focal point of the room is the roll top desk that Edison likely used to design cool stuff like the phonograph or Kinetoscope. 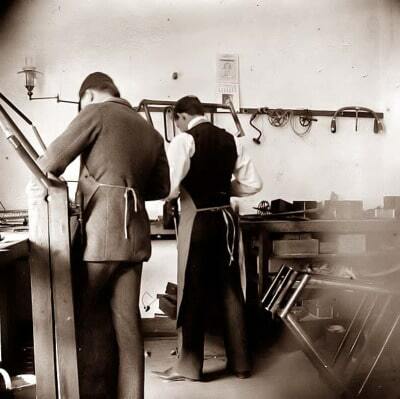 Edison knew how to hustle and would often work for 24 hours (or more!) straight. 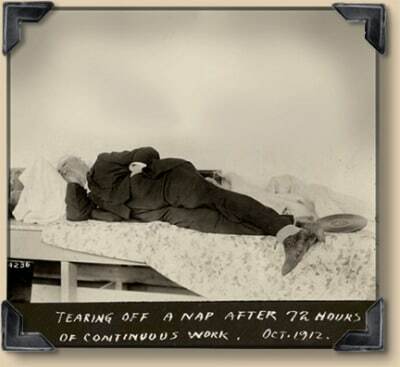 He’d take catnaps in a cot that he set up in his library to recharge himself for more work. When John Muir wasn’t wandering through Yosemite and pondering the awe-inspiring power of nature, he lived with his wife in a 14-room mansion in Martinez, California that had been built in 1883 by his father-in-law. The Muirs occupied that home from 1890 until John’s death in 1914. 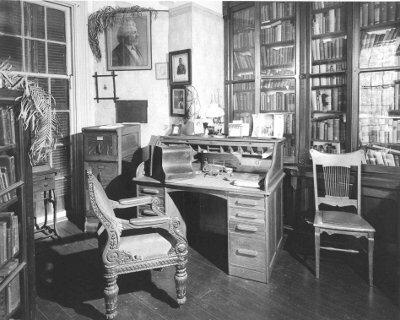 This was the most fruitful time of Muir’s career, and much of his productivity took place within the walls of his study, which he called his “scribble den.” Seated at his simple wooden desk, Muir laid much of the foundation for the modern conservation movement, penning hundreds of passionate magazine and newspaper articles and writing books on the importance of preserving nature, mulling over how to save the Hetch Hetchy Valley from being dammed, pushing for the creation of National Parks and a Park Service, and taking care of work for his job as the first president of the Sierra Club. 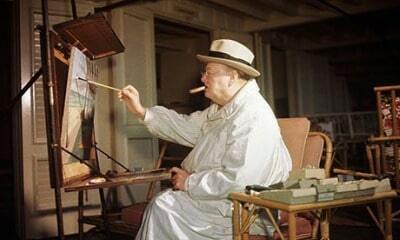 In addition to being a first-class statesman, Winston Churchill was a talented artist as well. The man loved to paint. He loved it so much that he built himself an art studio in his estate’s garden. When he felt the “Black Dog” of depression tailing him, he would retreat to his studio and keep the darkness away by putting brush to canvas. The garage or workshop is a favorite place for men to retreat to, drink a beer, and tinker on their car. The Wright brothers spent hours together in their bike shop fixing bikes and creating the first successful flying machine. Their shop actually changed locations several times, but what stayed the same was the industrial utility of the room and the solitude it offered them to ponder how to get man into the air. Located in rural Kent, England, Charles Darwin’s Down House is where the famous scientist lived and worked for over 40 years. 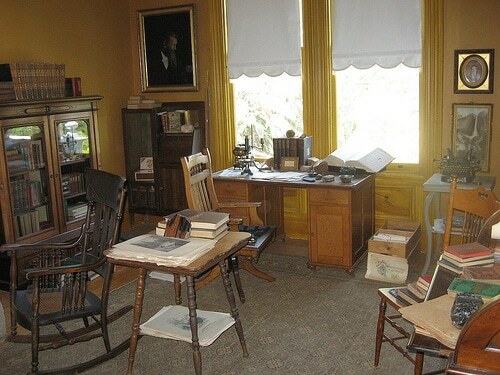 Inside the home, Darwin had a private study where he would write in solitude. Darwin was a morning person and felt he did his best work between the hours of 8 AM and 9:30 AM. 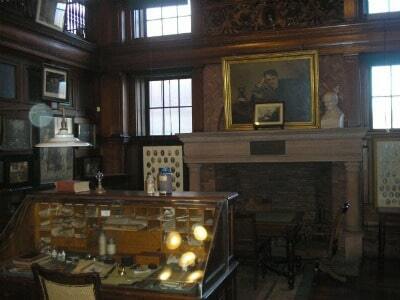 It was in this room that Darwin wrote his landmark work, On the Origin of Species by Means of Natural Selection. Darwin lined his shelves not only with books but also with animal specimens he found while taking walks in the afternoons. I’m totally digging that spiral cane and bowler hat placed on the chair in the first picture. Steele magnate Andrew Carnegie used some of his vast millions to build a 64-room mansion located on 5th Ave near Central Park in New York City. 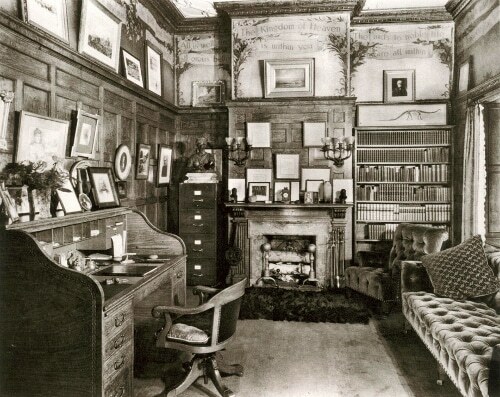 Among its 64 rooms were Carnegie’s private library and study where he would spend his mornings either alone or with his personal secretary. He used his library to receive applicants seeking a piece of his philanthropic treasure chest and his study to determine which ones would get funds. The rooms were decked out in typical Gilded Age furnishings- dark hand-carved wood, plush furniture, and decorative ceilings. 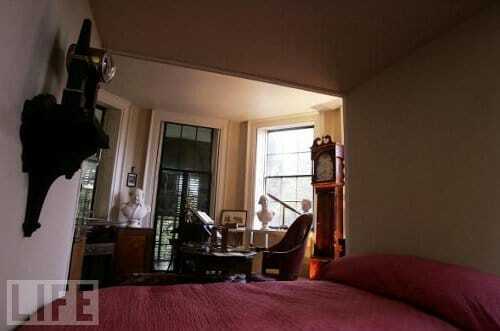 Along the walls of both rooms were stenciled Carnegie’s favorite inspirational sayings like “The Kingdom of Heaven is within you.” It’s pretty amazing what sort of man room you can build when you’re the richest guy in the world. Want to peek inside even more manly rooms? 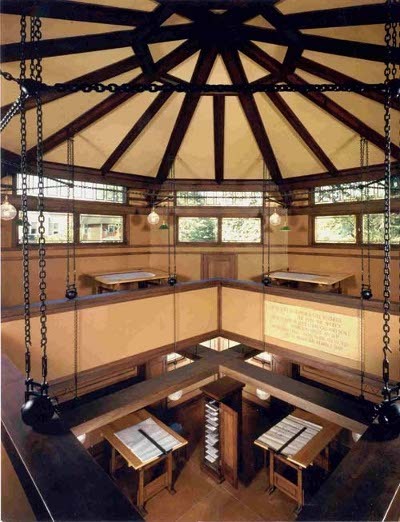 Check out the libraries, studies, and writing rooms of 15 famous men!